It’s Wednesday, and time for another Ask It! Which inexpensive activity is worth the time and money during your vacation? There were a decent number of comments that none of these were worth the time out of a vacation. 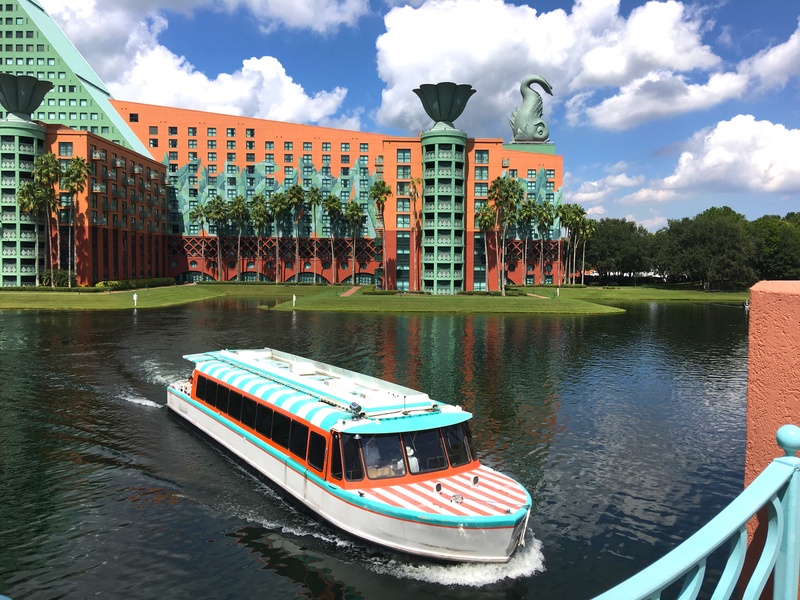 And although these activities take a minimal amount of time, generally an hour or less, getting to the location for some of these activities can take time out of a vacation, especially if you have to rely on Disney transportation. If you’re also watching every penny on vacation, although the costs for these activities is minimal for a single person, for a family of four (or more! ), it can add up very quickly. Within my family, we have done all of these activities–some as a family, and some pre-kid, or when we were kids ourselves. Every single one is an activity we would do again in the future, even if we were coming down on a vacation. I’ll admit, I was rather surprised that the activities at Fort Wilderness ranked so low. Part of this may be one question from a Twitter follower: What exactly do you do at Fort Wilderness? The answer is quite a bit, including horseback riding, pony rides, archery, Segway tours, wagon and carriage rides, fishing, bike rentals, and canoe and kayak rentals. 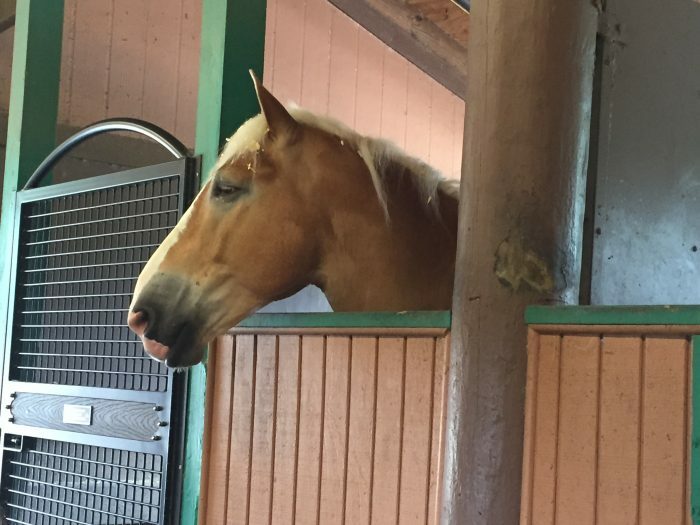 I personally like visiting the horse barn to see the gigantic horses and the vintage calliope. It may be that activities at Fort Wilderness are Disney’s actually best kept secret. We’re not horsing around–there really is a lot to do at Fort Wilderness! When it comes to watercraft rental, there is quite a bit of latitude as to what type of watercraft you might think of, from a canoe to a private yacht, along with a huge range in price. For most people, when you think of watercraft rental, you’re thinking about the little two-person Sea Raycer boats. And although my husband has fond memories of his time spent as a teen zipping around Bay Lake, this is an activity that is very much hit or miss depending on the age of your family members and their personal interest. No big surprise that it came in near the bottom. But our grand winner this week was Mini Golf. And although I have hyped Mini Golf recently, I can’t take credit for its victory. Let’s face it, Mini Golf is fun for all ages and a relaxing way to spend some down time out of the parks. Although there are other mini golf places nearby that may be less expensive (especially if you look for coupon books at local restaurants or hotels), there’s something nice about the little Disney touches at the mini golf courses at Walt Disney World. And in an exciting twist, we also had a write-in vote for one more inexpensive activity: Surrey Bike rentals. I have to admit, I’ve never taken a surrey bike out for a ride, but even though everyone I’ve seen on them has either been struggling to get them up a big hill or has been careening out of control down the other side of the hill at high speeds, it does look like they are having fun. Maybe that’s one for me to try out at some time! So there you have it — this week’s popular vote getters. 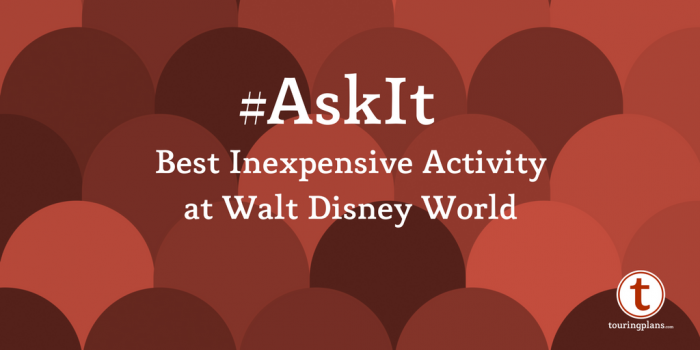 Are there any other inexpensive activities that you like to do when visiting Walt Disney World? 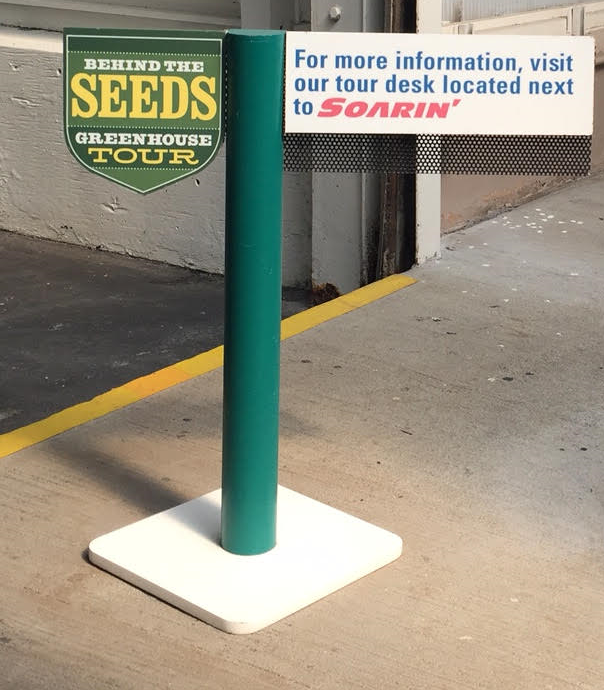 Do you think Behind the Seeds should have beaten Mini Golf for the win? Let us know in the comments. 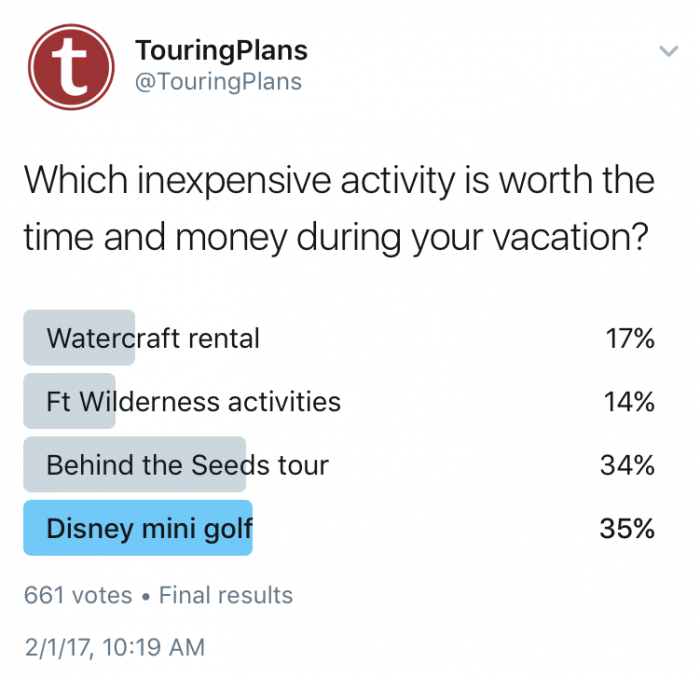 Which of the following WDW splurges is the best use of money? Head on over to Twitter to vote, or leave your vote here in the comments. 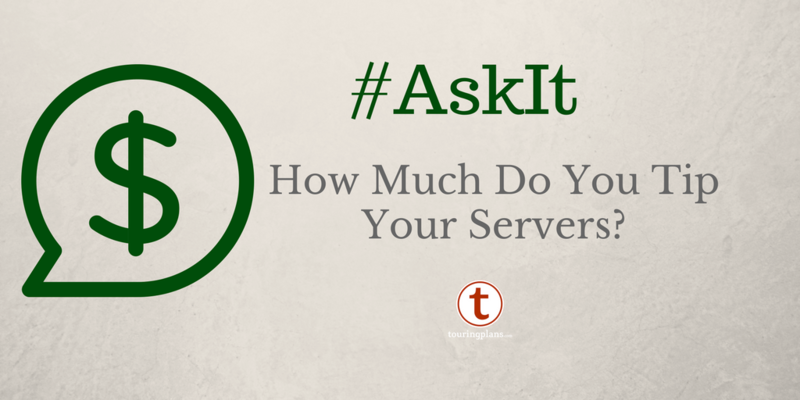 We’ll tally up the results and have it ready for you next week, on Ask It! Spa day, all the way. Being able to close one’s eyes in the shower months afterward and still be able to vividly recall the smells, sounds and feel of the spa is amazing. Well worth the money if you have it to splurge. Don’t forget about Characters in Flight before 10am – it’s only $10 and gives you the most amazing views of Disney Springs as well as the rest of WDW! I highly recommend it!!! 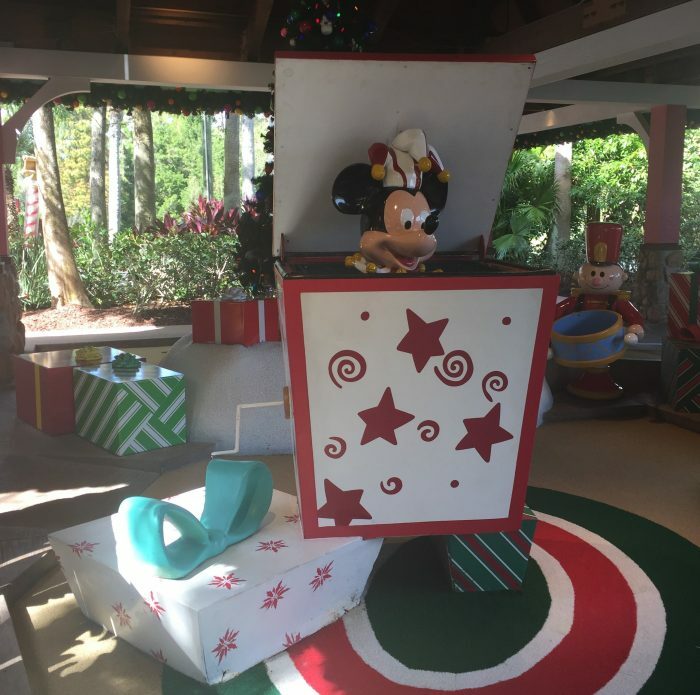 What about character dining and dinner packages? Sone are good value and others are just a complete rip off. I would recommend the crystal palace to everyone, good atmosphere, plenty of food and not too bad on price. I would stay well clear of the Princess breakfast at Norway epcot!poor food, not great service and really expensive! The wishes desert party has been a past favourite but the prices have now doubled!! We won’t be doing this anymore, $79 for an adult.. you only eat a few cakes and chocolate strawberries. Tusker house is the in between.. it’s good but price is quite expensive and it feels a little rushed with the characters. Mini golf may have got a few extra votes from UK ticket holders for being free rather than just inexpensive – our tickets allow us a free game every day (if you can drag yourself away from the parks! ).